Therelek Engineers designs and manufactures rotary calciners to the requirement of the end user. Rotary calciners are directly or indirectly heated by gas fired burners, the rotating element being a metallic tube. 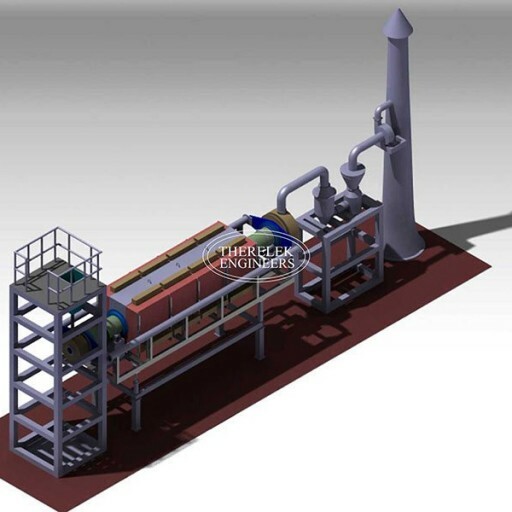 The orientation of the burner (or burners) depends on the application and functional requirement and can either be located at the entrance of the calciner or perpendicular to the calciner rotation. The rotating metallic tube and rotation speeds are determined by the composition of the feed and output required, and the material selection is based once again on the composition and operating parameters like temperature and gases formed during process. Suitable cooling arrangements are made to ensure the feed comes out of the rotary calciner at the acceptable temperature range without risk of oxidation.